2015 was a year of change for me and looking back. 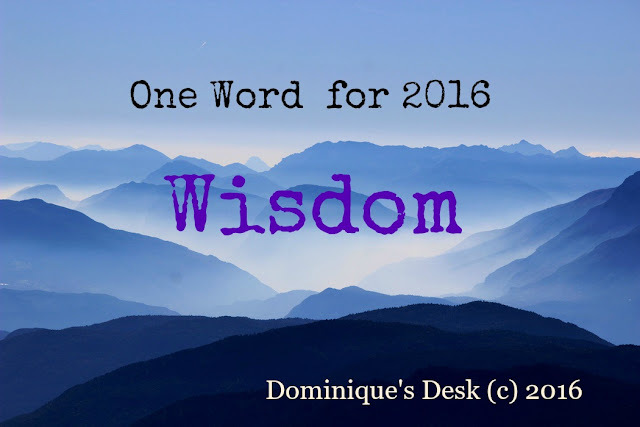 This year will be a year for me to focus on gaining wisdom. Gaining insides to things that I still lack knowledge of and learning to handle certain situations is what I certainly seek. Wisdom comes after one has experience and learned in life. It is something that is accumulated in time. knowing how to communicate efficiently with R and the kids. how to become a better me. There are many decisions that one has to make on a daily basis which may drastically alter the fortunes that one faces. Wisdom is certainly important to make sure that one makes the RIGHT decisions. Every step that we take leads us somewhere. The path that we take is determined by two main factors- chance and choice. The combination will see whether we move forward or have to take a step back and reassess our actions in life. Do we make use of the chances which we are given or let them slide away while we wait for the BEST one to arrive? What if it never arrives? What do we do then? Decisions. Something that has to be made all the time. The result can either be good or bad. The choices that we make on a daily bases shapes the live that we lead. Irregardless of the consequences of action taken we need to take responsibility for it. It is hard to determine if it what we do today will bring in results straight away or years from now. Not all things deliver immediate results and sometimes it takes years of hard work to achieve the targets/goals that we set ourselves. Whether you ultimately succeed or fail depends on one’s determination to work through all the obstacles that comes one way. No one says that it will be easy or a walk in the park but if you persevere there will certainly be results. This is something that I am confident about. 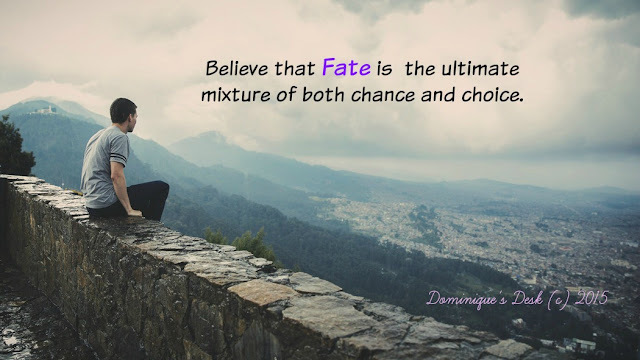 What is your take on Fate?